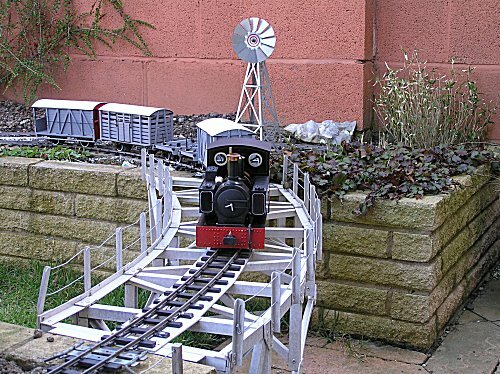 The FNGR is a small railway in a small garden. 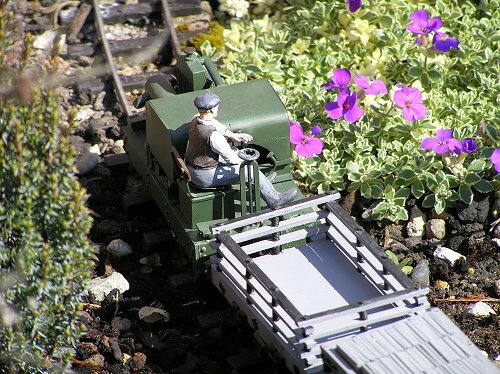 Perhaps not so much a garden railway as a railway garden. Over-engineering are my watchwords. After the low walls were built and filled with drainage stones and soil the track base was constructed by digging a narrow trench and filling it with concrete. The track was then screwed to it. 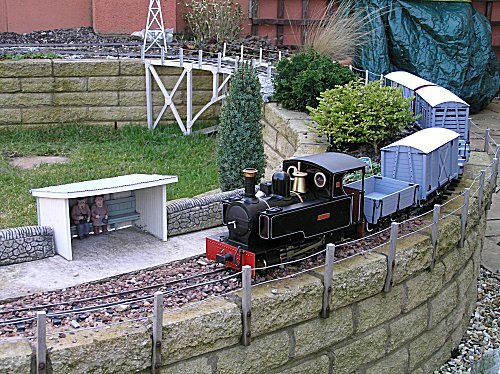 The plain track is PECO SM32 and the points are homemade to a design described in Narrow Gauge and Industrial Railway Gazzette. Two stations are served by the line, Carreg Wen and Sandy Halt. These were made from a type of plastic of which I know not the name but it does stand up to the sun and rain very well. 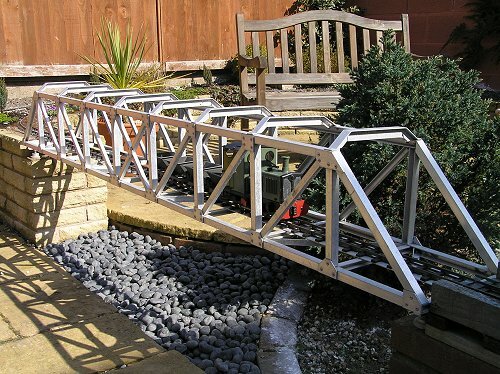 Bridges were laboriously put together from aluminium sections supplied by my local builders merchants and pop rivetted at the joints. 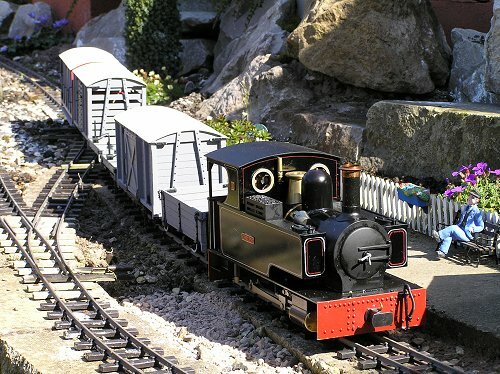 They look better suited to a standard gauge mainline but are very durable. If I was a Government Minister I would feel compelled to say that they were both robust and fit for purpose. At present the FNGR is a goods only line although plans are being prepared to introduce a passenger service. 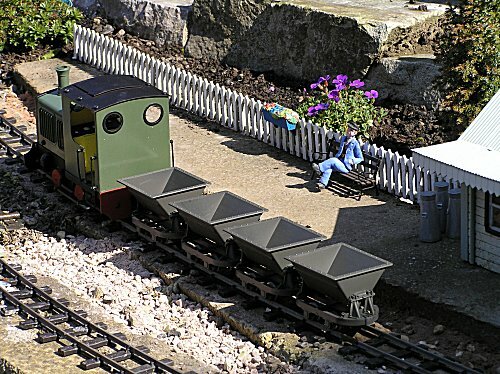 The wagons are all scratchbuilt with the exceptions of the tippers from Colin Binnie and a solitary Perfect World three bar slate wagon. An awful lot remains to be done; buildings, figures and stock, not to mention all the planting and weeding. 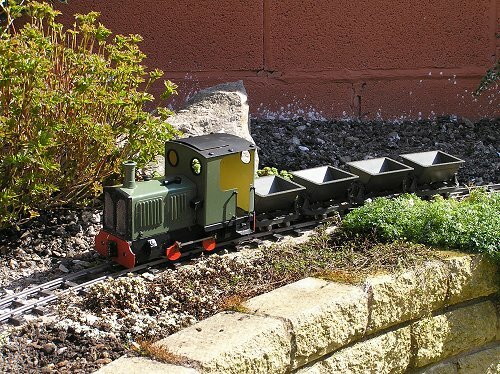 You don't have to know anything about gardening to have a garden railway but I can't help imagining it would help! 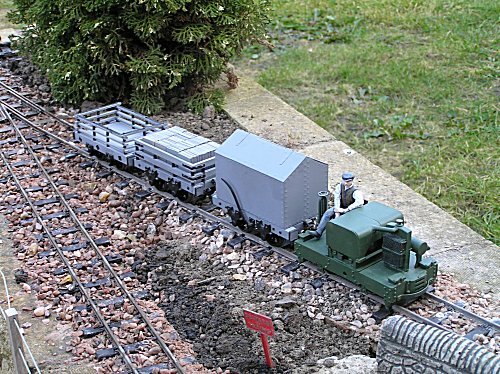 Gwilym An Accucraft Caradoc with homebrewed lining, radio control and various other additions. Colomen An IP Engineering Jessie fitted with 40mhz radio control and some cosmetic modifications ( I like diesels with chimneys ). Simplex Another locomotive from IP Engineering. It trundles around at a pleasingly scale speed under the control of Ieuan, it's stoical driver.